Matthew Slotkin is an acclaimed performer, teacher, and scholar, and has appeared in leading venues on five continents. A commitment to contemporary music has resulted in premieres of numerous works by composers including Linda Buckley, John Anthony Lennon, Scott Lindroth, John Orfe, and many others. Recent performances include tours of Argentina, New Zealand, Australia, the United Kingdom, Portugal, and Greece, as well as concerts at the Piccolo Spoleto Festival, the Walled City Music Festival, the Monadnock Music Festival, the Chautauqua Institution, the Guitar Foundation of America, and the World Saxophone Congresses in Scotland, Thailand and Slovenia. 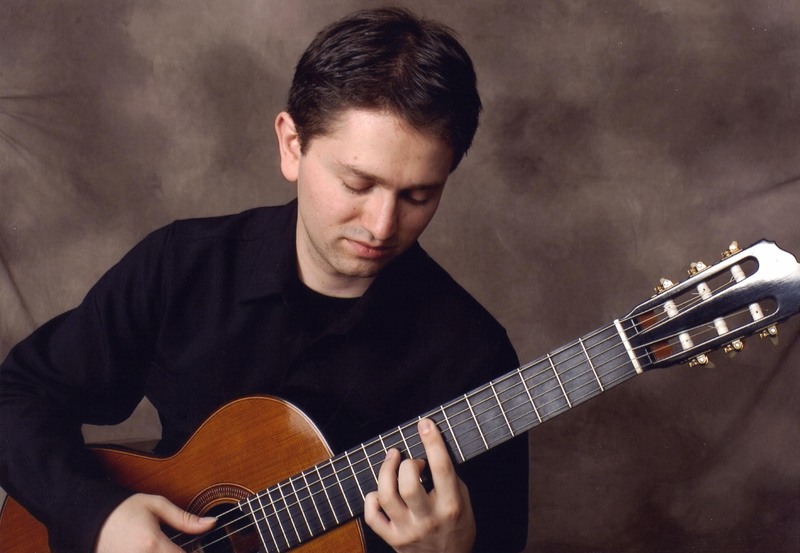 He has performed on numerous classical guitar society concert series including New Zealand (GANZ), Philadelphia, Cleveland, Northeastern Pennsylvania, and the Great Lakes. He has given performances with many prominent chamber ensembles including the Metropolis Ensemble, the Mallarmé Chamber Players, Duo Montagnard, and Dez Cordas. Recordings on the Summit, Centaur, and Liscio labels have been praised as “wonderful…a very enjoyable disc” (Soundboard), and “a magnificent achievement…the concept of this program is brilliant” (American Record Guide). Soundboard magazine called him an “exceptional” player, and a recent concert review from the Classical Voice of North Carolina stated that “Slotkin performed brilliantly.” Slotkin directs the guitar program at Bloomsburg University in Bloomsburg, PA, and has given masterclasses at numerous institutions and festivals including the Oberlin Conservatory of Music, Northwestern University, Victorian College of the Arts (Australia), ESMAE (Portugal), National University of La Plata (Argentina), the Alexandria Guitar Festival, and many others. He received the Doctor of Musical Arts, Master of Music, and Bachelor of Music degrees from the Eastman School of Music, where he studied guitar with Nicholas Goluses.